There’s nothing that excites K-pop fans more than the announcement of a comeback. In 2016, we fans were a bit spoiled with the sheer amount of comebacks K-pop companies gave us. Companies like JYP and SM cycled through nearly their entire rosters, while smaller companies made their name known through consistent releases of the same group. With 2016 behind us, it’s time to take a look back at the comebacks that caught our eye, impressed, and stuck with us all the way into 2017. For this roundtable, staff writers Cjontai, Chelsea and Margaret sort through some of their favorite returns of 2016 — which veteran groups continued to establish their legacy, and did any new rookie groups solidify their name? Cjontai: I’m going to start off by saying I could not WAIT for this! 2016 has been one of the best years for K-pop. We got a lot of great comebacks, but some stood out more to us than others. Looking at everyone’s list, it appears we have one solid agreement about who did really well this year: BTS. I know why they’re on my list, but I’d like to know everyone else’s thoughts. Why did you pick them? Margaret: There are honestly a lot of reasons as to why BTS is high up there on my list but here are a few of them: I’ve actually really enjoyed the music that they’ve released this year as well as the actual comebacks – concepts, outfits, choreography, etc. They’ve been really busy this year from putting Young Forever out there to following up quickly with Wings, I’m really impressed with the consistent quality of their music. There are so many instances where I only like the title track of a release, but with BTS, I really enjoy all their B-sides. Their releases and performances have been very solid. BTS has also done really well in getting that public recognition – their popularity internationally and locally has blown up, from a Twitter emoji being created just for them to their amazing results on Billboard, the recognition and reception has been overwhelmingly positive. They won two Daesangs for their efforts, which is virtually unheard of in this day and age where groups from bigger companies dominate. It definitely goes to show that their hard work has paid off. Chelsea: When it comes to BTS, I think they were a cut above the rest for the entire year. The kicked off the earlier part of the year with the conclusion and epilogue to their Youth series. The series itself was groundbreaking, I think. It offered a cohesion of concept across multiple releases that we often don’t see in K-pop and allowed to show the group’s growth and artistic side to boot. 2016 truly culminated in their second full album, Wings and the single “Blood Sweat and Tears.” BTS really gave fans something to work with visually, musically and even emotionally. Wings was a risk that paid off well. Each member had a moment of musical spotlight, yet nothing ever felt disjointed. They sampled, they experimented with genre and arrangement, and in the end I totally find them deserving of every album of the year award that could be given to them. I think BTS just gave us the best of everything this year: solid concepts, artistry, aesthetics, and some amazing music. They’re growing so much as a group, and I can’t wait to see what they do next. Cjontai: I couldn’t agree more with both of you. BTS certainly had a phenomenal year. Even though they’ve only been out a few years, it’s admirable for them push themselves further each comeback. I love their commitment to storytelling in both their music and their videos. Big Hit marketed the group so brilliantly and didn’t cut corners. Another group that had an explosive year is Twice. I don’t know how anyone could escape “Cheer Up,” even if they tried. I was almost reminded of how Exo really took off after “Growl” with this growth in popularity. Some fans will undoubtedly argue this is the power of a Big Three agency, but that’s not always a winning ticket. I can think of other groups who debuted from those agencies in recent years that are doing moderately well, but that’s it. They’re only staying afloat through their company’s brand, not their own. This isn’t the case with Twice. They promoted with songs that showcased their charms best. They didn’t take the kinds of risks that BTS did, but that can come later once they’ve developed their talents more. Margaret: Cjontai, I really agree with what you said about Twice. For a group that’s only one year into their debut, it’s amazing that they have consistently put out catchy hits that the public have obsessed over — I was in Seoul over the summer, and everywhere I went, “Cheer Up” and even “Like Ooh-Aah” would be playing. The only thing I would say about Twice’s comebacks this year, though, is that while they do play to their strengths and charms, the sound of their songs is quite similar — the formula and style for both “Cheer Up” and “TT” are almost the same. Nevertheless, this was Twice’s breakthrough year, and they have solidified their place as a major girl group to look out for in 2017. Looking at our lists, I find it ironic that I am an Exo stan and they didn’t make my list this year, yet, they topped both of your lists. I’m curious what about their comebacks worked so well for both of you? Cjontai: I picked Exo because they had a great year. While their sale numbers come as no surprise, the sound of their album did. I didn’t care for their 2015 releases at all, but 2016 earned them a thumbs up. While it may not have been their most daring venture, it sounded cleaner and more cohesive than I expected. Given the criticism they get for having members who don’t contribute much vocally, I appreciated hearing better line distribution this time. I don’t like rooting for groups that put the burden of the album’s success on a couple of people. Everyone needs to put in equal effort, and I felt they accomplished that. Margaret: Exo tops my list simply because their comebacks this year have been mind-blowing. 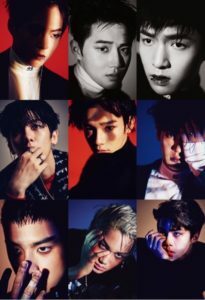 From “Monster” and “Lucky One,” to “Dancing King,” “Lotto” and For Life, their many comebacks have shown both variety and growth in their musical and artistic style. Even though not all their releases have been equally enjoyed by the public, I’ve been so impressed at how they have experimented with different styles of music and have really come back with a different sound each time. Although they had so many comebacks in 2016, the quality of their releases wasn’t compromised. Their stage performances with their strong stage presence and charisma have also been a pleasure to watch and even though Kai, one of the strongest performers in the group was out with an injury during Lotto promotions, the rest of the group more than pulled their weight, and we definitely got to see the rise of some of the more underrated members. Like Cjontai said, the line distribution has definitely improved, and the members have risen up to the challenge: we’ve gotten to hear more of Xiumin‘s lovely vocals, and Kai’s singing has gotten loads better. I’m curious as to what everyone’s criteria was for the rest of their picks? Chelsea: This year, my choices centered much more around the artistry that went into each comeback. BTS topped the list for obvious reasons, but Lee Hi came in second because Seoulite was simply a spectacular album. Releasing two lead singles “Breathe” and “Hold Your Hand” was a smart move that gave audiences a chance to re-familiarize themselves with Lee Hi’s musical abilities after a long hiatus. The fact that YG gave her time to mature — and allowed her to work with outside artists and HIGHGRND — gave the comeback a special quality. It was almost like a coming of age for Lee Hi, done at exactly the right time with the perfect balance of youth and maturity. The only let down was that the second half of the comeback and album wasn’t nearly as exciting as the first half. I included B.A.P for similar reasons as Lee Hi. 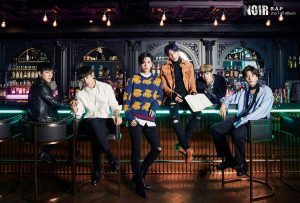 Noir was a long-awaited effort that proved BAP’s growth after a tumultuous two years. Cjontai hit the nail on the head in her original review of the album when she said “this was the comeback that everyone needed.” The return of B.A.P meant so much for fans, and in many ways Noir reminded us of why B.A.P was such an impressive rookie group all those years ago. The comeback was re-assuring, impressive, and also demonstrated substantial growth for all the members, especially Yongguk. Cjontai: I wanted to place B.A.P on my list, but the reason I couldn’t is because of TS Entertainment. Noir is a wonderfully crafted album, yet I barely heard a blip about it. There’s no reason it couldn’t have done better. B.A.P’s company failed them in marketing this. They should’ve pushed the mature aspects of this album more to draw in another potential market. That’s why I only gave it an honorable mention. The group isn’t at fault; their company is. They needed more support and never got it. What about the other groups on your lists? Did they surprise you in some way? Chelsea: Day6 would probably be my biggest surprise group of the year. They made my list because they endured the removal of member Jun-hyeok, and instead of pulling a SM and pretending the keyboardist was never part of the group, they centered the entire comeback around his absence. They acknowledged the loss and the emotional impact it had on the group through the lead single “Letting Go,” and its MV. Even more, they showed their endurance in the wake of the loss and their desire to press forward. Daydream as an album was a statement, and also an homage in a way. Plus, it produced one of my favorite B-sides of the year, “Blood.” I think I had that song on repeat for the entirety of April. 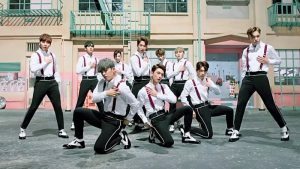 Cjontai: For my surprise entry, Seventeen is definitely a group to watch now. Between the fan interactions, their upbeat sound, and that amazing choreography, there was no way this group wasn’t going to gain recognition. 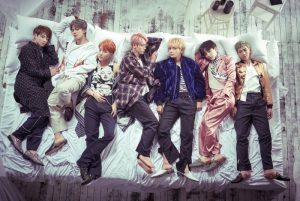 Like BTS, it also helps to have members contributing to the album’s success through composition and dance. They’re really grounding a brand of youthful exuberance, which works in attracting the demographic that would buy their music. I’m sort of astonished that Pledis hasn’t screwed this up, but only time will tell if they can keep this momentum going. Chelsea: It seems like our lists this year feature a lot of newcomers who are on the rise, like Seventeen and Twice. That being said, it’s refreshing to see a lot of veteran groups make the list like like Shinee and Big Bang. What is is about these groups that kept them at the top in 2016? 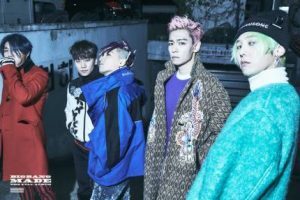 Margaret: Big Bang is fourth on my list with their full MADE album being released last month. I personally really enjoyed both their contrasting title tracks — although I do see how some fans may be underwhelmed by their comeback‘s similar sound to some of their previous releases. That said, both “Fxxx It” and “Last Dance” are simply so distinctly Big Bang and have been huge hits commercially. I’m always amazed at their live performances — unfortunately there are few, but when the group does perform, they put their all into it. For example, during SBS Gayo Daejun, Big Bang ended the show with “Fxxx It”, “Last Dance”, and “Bang Bang Bang”, and boy, do they know how to hype up a crowd. What I love most about their performances is that no two are the same — they always put their own personal musical touch to each one to make it unique and special. Zico also enjoyed a great 2016, coming back with hits like “I Am You, You Are Me” and “Bermuda Triangle” in collaboration with Dean and Crush, and his releases have been huge hits on the digital charts. He is another artist that consistently grows in his releases and comes back with different sounds and variety in his music; he definitely deserved all of the three wins at the Melon Music Awards! Overall, The veteran groups and artists really came out with solid hits that showed either experimentation in style like with Shinee and 1 of 1 or with Vixx‘s Conception trilogy, or solidification of their sound like with Big Bang’s MADE. In almost all of these cases, they were able to showcase their performance, vocal, and rapping skills, which made for extremely solid and enjoyable releases. I also found that there weren’t a lot of rookie groups that I particularly followed closely in 2016, so a lot of my focus went to these established groups. 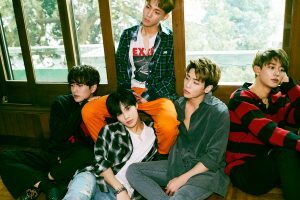 Cjontai: Shinee was almost a given. They’ve been consistent with their past releases, and while not every song was a hit, the albums themselves were solid. That is to say, I appreciated the whole versus the sum of parts, if that makes sense. Shinee has been taking risks with their sound, which may have turned off some fans, but I’d prefer experimentation over musical apathy any day. It’s not a matter of who did what first, so much as it is, who is working outside their box. I stress this point for those who may argue Shinee isn’t original for doing a retro sound. Shinee earned their spot on my list because they tried a sound that differs from what they’ve already done on past albums. This is about rewarding growth, about which is what comebacks mainly are. Chelsea: While I love growth and experimentation, both Shinee and Exo didn’t make my lists because the music itself never really resonated. I love that SM experiments — especially with Shinee — but sometimes it feels like they throw anything at a group with the knowledge that the fanbase will support the group no matter what. 1 of 1 and 1 and 1 were not bad albums, but they weren’t memorable albums either for me, and I’m usually a sucker for Shinee B-sides. Jonghyun, on the other hand, really showed his growth with She Is, and the comeback was so close to making my list. It probably would have if “White T Shirt” were the title track. It seems like we came at this roundtable from very different perspectives and criteria, but overall we appreciated many of the same comebacks this year. Any final thoughts? Margaret: Honestly, 2016 had a lot of great comebacks from amazing artists, and I had a fun yet challenging time narrowing my favorites. Although we had different opinions on our top picks, I really enjoyed listening to everyone’s perspectives. Let’s hope that 2017 will be an even better year in K-pop!